As the histories of perfume houses go, there is surely no richer tapestry than Guerlain‘s. 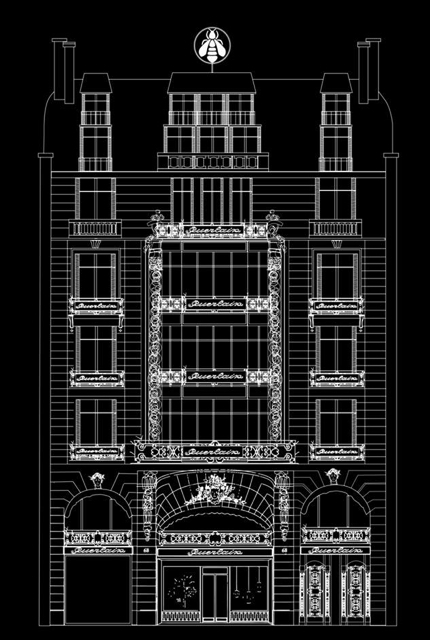 The House of Guerlain began almost two centuries ago, in 1828, and its story is woven into that of fragrance itself. Pierre-François Pascal Guerlain opened the very first Guerlain shop on the Rue de Rivoli in Paris that year, selling vinegars, scented soaps and cosmetic products (including the gloriously-named liquid ‘Bloom of Roses’, for lips). 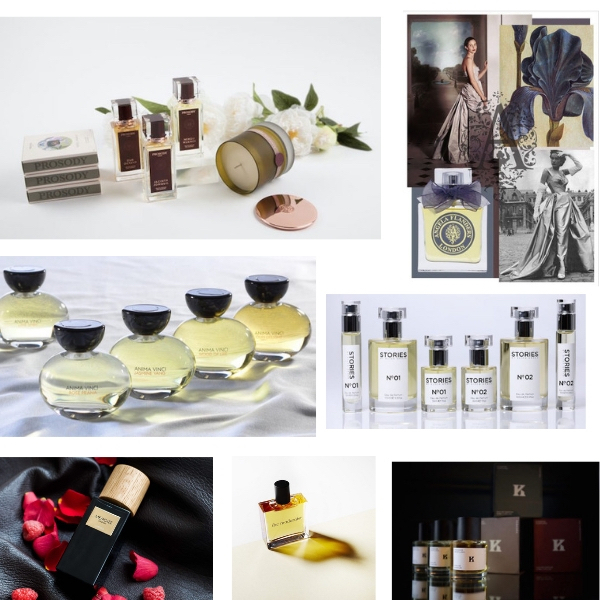 The first of a legendary dynasty of perfumers, Pierre-François began creating custom fragrances for high society Parisians – and by 1840 had opened a ‘flagship store’ on the glamorous Rue de la Paix. His most famous client? French Emperor Napoleon III and his wife Empress Eugénie, who he created Eau de Cologne Impériale for in 1853. This so-refreshing Guerlain Cologne can still be splashed on today – and is still available in a gilded, bee-adorned bottle: Napoleon III’s ’emblem’ has become that of Guerlain itself. 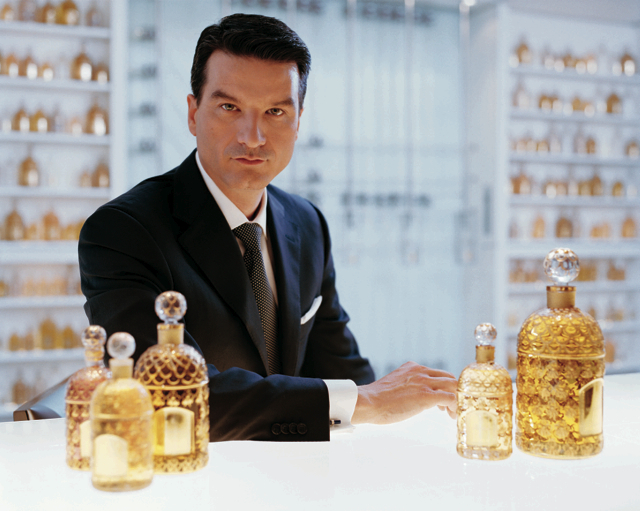 Pierre-François went on to enjoy the title of ‘His Majesty’s Official Perfumer’, bestowed on him by the Emperor. Other royal commissions followed – from Queen Victoria, and Queen Isabella II of Spain, among other crowned heads. 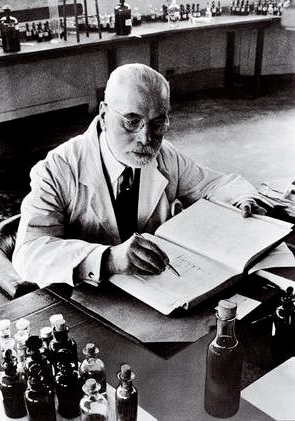 Jacques Guerlain took over from his uncle Aimé in 1890 – which marked the start of a hugely exciting time for the house. Timeless creations like L’Heure Bleue (1912), Mitsouko (1919) and Shalimar (1925) were launched – and like Jicky, remain in the Guerlain collection today, loved as much as ever by men and women all over the world. Guerlain continued to innovate on the cosmetics front (we would dearly love to be able to get our hands on ‘Ladies in All Climates Powder for the Skin’, for instance) – and it wasn’t simply your pulse-points you could scent with a fragrant Guerlain treat: their stand at the 1934 ‘Exhibition of Products of the French Industry’ included ‘poudre sympathique‘ (for perfuming paper), and ‘Bouquet de Roi’, which did the same for handkerchiefs. Then the extroardinary Guerlain olfactory gift then seems to have skipped a generation – because when Jacques died, in 1963, it was his grandson Jean-Paul Guerlain who took the baton. They’d already been working alongside each other: Ode, Jacques’ final perfume, was created with Jean-Paul, as was the acclaimed men’s fragrance Vétiver – one of many stunning masculine offerings in the perfumed portfolio. Today, some 350 perfume creations later, Guerlain remains one of a handful of fragrance houses which controls their natural ingredients ‘from field to flacon‘. Bergamot is specially grown by farmers in Calabria, vetiver in Tamil Nadu, roses in Bulgaria, as well as Tunisian orange blossom and petitgrain. Two jasmines – with quite different facets – are sourced: jasmine sambac, and Grasse jasmine. The motto endures: ‘Never compromise on quality’. Thierry’s arrival at Guerlain marked the dawn of a new era of contemporary fragrances, firmly rooted in Guerlain‘s unique past. Sumptuous floral Idylle, delicious La Petite Robe Noire (with its gourmand notes of cherry, licorice, almond and vanilla) – and each year’s new incarnation of Acqua Allegoria: long-lasting Cologne-esque fragrances –originally inspired by the great gardens of the world – which are as light-filled and sparkling as a summer’s morning. 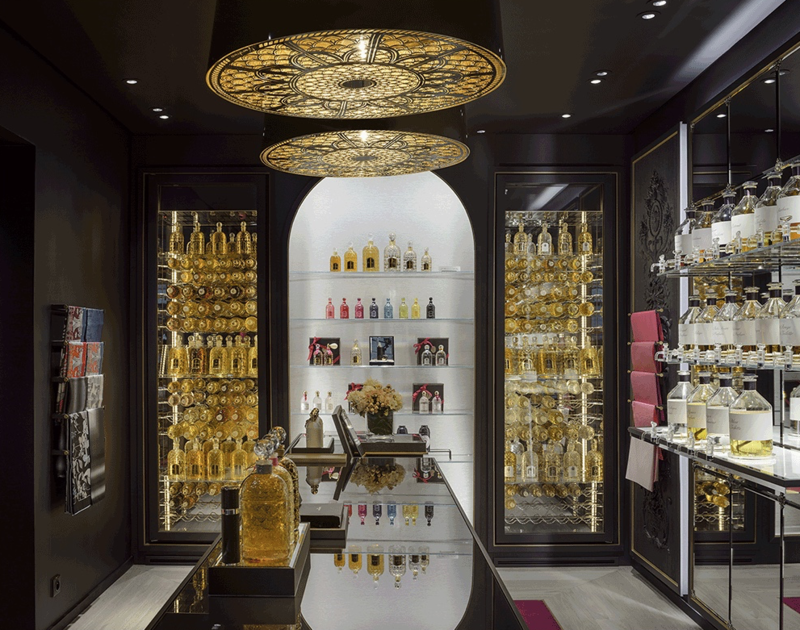 And in an adjacent room, you’ll find huge fridges, perfectly preserving gilded bee bottles containing some of Guerlain’s classics. 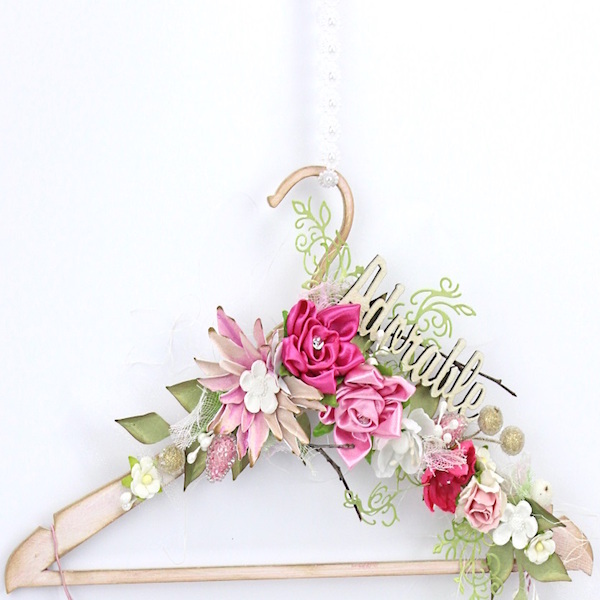 Want to step up the luxury factor still further? Choose one of a dozen colours of glass bee bottle to be personalised after the fragrance is decanted before your eyes: countless ribbon options, engraving styles. This is perfume shopping at its most luxe and indulgent – and you can read our full report of our visit to the boutique, here. 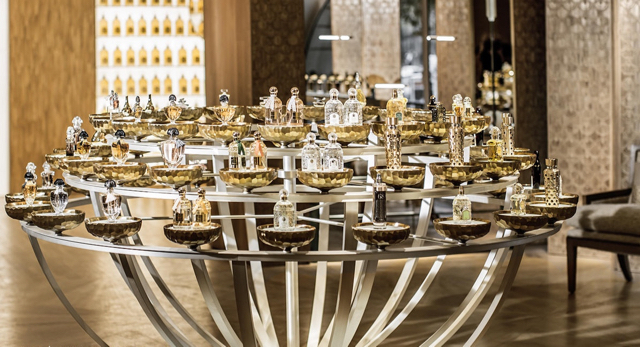 But we cannot recommend too highly another opportunity to drench your senses in Guerlain – this time, at the flagship store at 68 Champs-Elysées, which has undergone a stunning renovation. 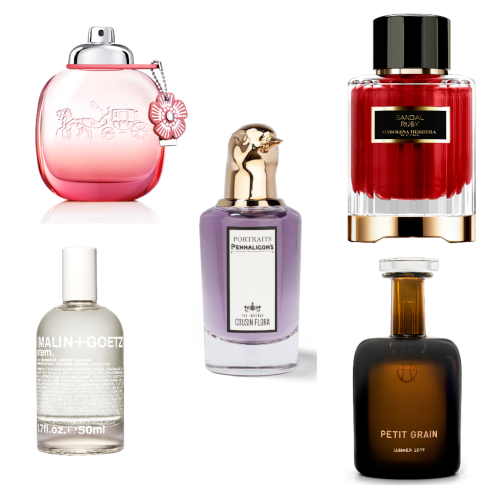 A ‘temple to perfume’, we think of it as – but one where you can not only delight your sense of smell, but taste, too. Because there can be few more delicious ways to feel you’re truly part of perfume history.